Supergiant Games creators of Bastion & Transistor has taken to the official PlayStation blog this week to reveal that their new game Pyre will be launching on the PlayStation 4 on July 25th 2017. 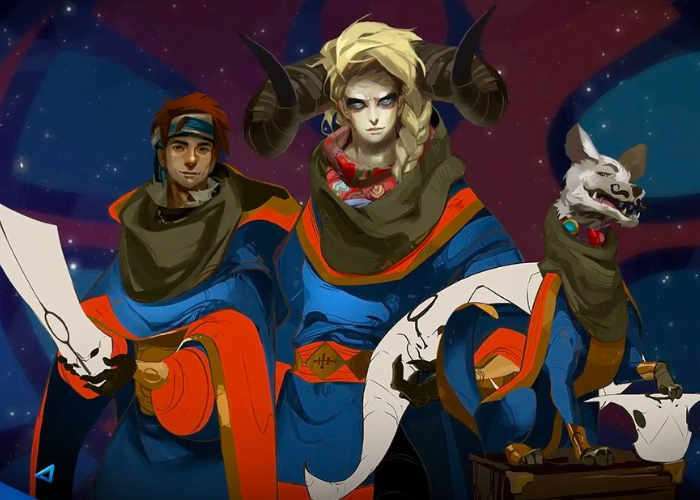 Within Pyre is a party-based RPG in which you lead a band of exiles to freedom through ancient competitions spread across a vast, mystical purgatory. The development team is currently putting the final touches in place ready for July’s launch. Pyre is now available to preorder offering a 10% discount off the recommended retail price of $20. Central to Pyre is the ancient competition called the Rites. Each Rite plays out like an intense close-quarters mystical battle, where the object is to extinguish your adversary’s signal flame before they can do the same to you. You’ll have to outsmart and outmaneuver your opponents to succeed — or you can banish them outright with a powerful aura blast. Who shall return to glory, and who shall remain in exile to the end of their days? Find out during the course of the single-player campaign (and maybe rack up a new Platinum Trophy while you’re at it). Think about how many games you play where you get stuck trying to get past a certain sequence, and keep throwing yourself at it again and again, just because you want to see what happens next. Sometimes that’s fun… but often, it stops the story dead in its tracks and just gets frustrating. We wanted to make a game that had plenty of challenge and exciting action, but where the fear and frustration of getting stuck was not a factor. Picking yourself up after being defeated could be part of the journey, rather than something that took place in your head while looking at a Game Over screen. So, one of the unique aspects of Pyre is how you are never forced to lose progress. Whether you prevail or fail, your journey continues. The interactive narrative is expressed through a story that should feel personal to you, and that no two players will experience in quite the same way.